A popular street food in South America, Choripán Argentina is grilled chorizo served on crusty bread. 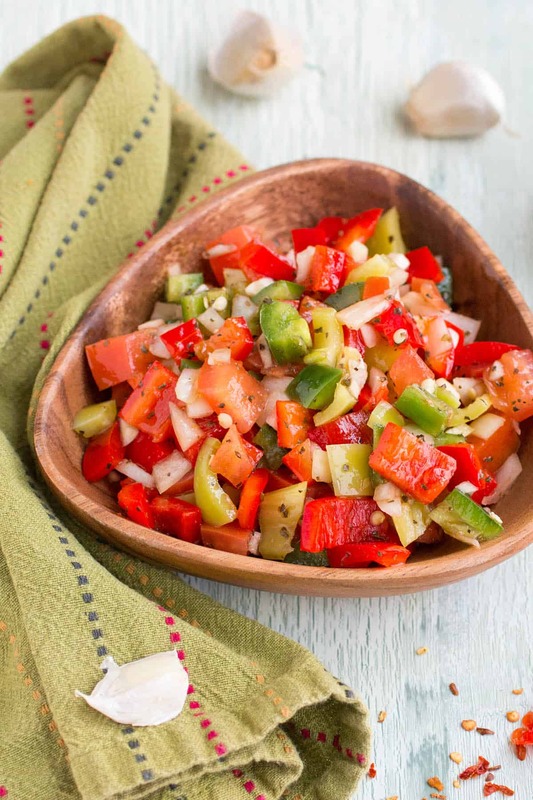 This recipe tops it with a homemade chimichurri and fresh and vibrant salsa criolla. Forget the hot dog. This is what you want to grill. 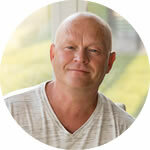 I’ve been grilling out like a wild man this summer and I am freaking LOVING IT! It’s what the great weather is all about for me, sitting outside in the warmth, cooking some great food in the smoker or on the sizzling grill grates. Everyone talks about grilling steaks or grilling burgers or even grilling up hot dogs, but I’m here to make a case for grilling sausage. OH YEAH! Patty LOVES a good grilled sausage, and she typically chooses sausage over steak when I ask for her preference. 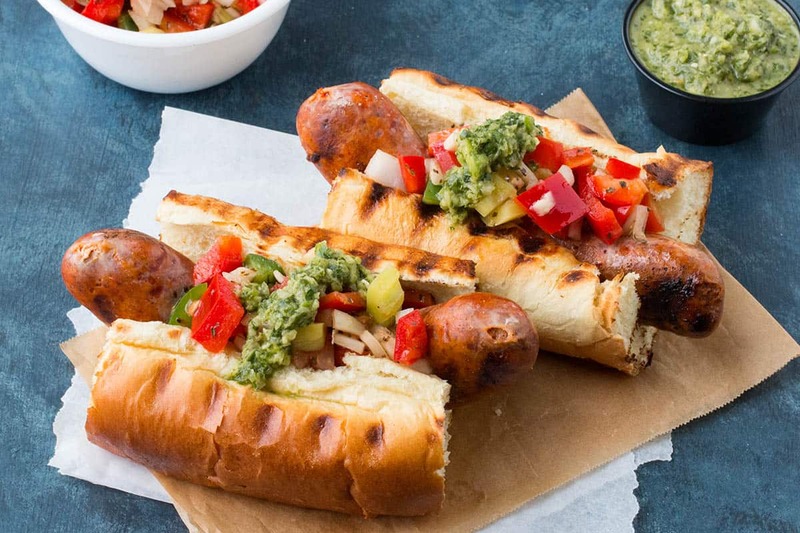 We both greatly enjoy spicy Italian sausages and our own homemade sausages, but this particular recipe is TOPS when it comes to flavor and satisfaction. We’re talking CHORIZO here, and it’s phenomenal. 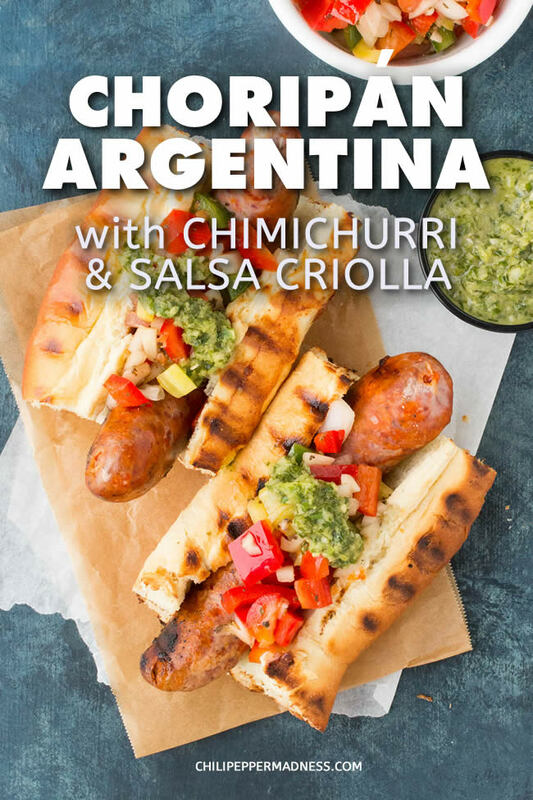 The actual recipe I’m making has a very specific name – “Choripán Argentina”, and it is one you’re sure to want to know. Choripán is a popular street food in Argentina. Its name derives from its components – Chorizo and Bread (pan), the bread is typically some sort of crusty bread, such as a baguette. It is very popular in Chile, Argentina, Uruguay and Perú. Choripán is typically served with chimichurri, though I’ve added another crisp and spicy element with Argentinian salsa criolla. Your zest factor may change based on the brand of chorizo you purchase. 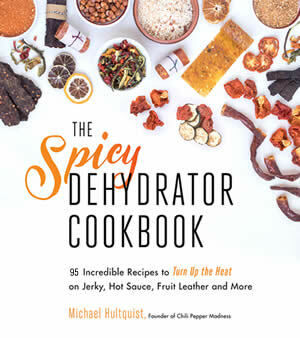 It may not be popular yet here in American, but as a spicy food loving chilehead, it certainly has a place on MY list. I’m sure it will for you, too. I mean, chorizo! Yeah!! Let’s talk about how to make it, shall we? First, get your grill going. Heat one side to medium-high heat and the other to low for indirect cooking. Lightly oil the grates. Set the chorizo sausages on the cooler side of the grill and let them cook for about 20 minutes, turning occasionally, until they are mostly cooked through. Next, set them onto the hot side of the grill and cook them another 4-5 minutes per side, until they are nicely browned. 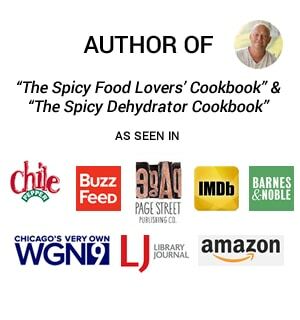 The internal temperature should be 150 degrees F.
While the sausages are cooking, make your salsa by combining all the salsa ingredients in a medium-sized bowl. Toss them and set aside. 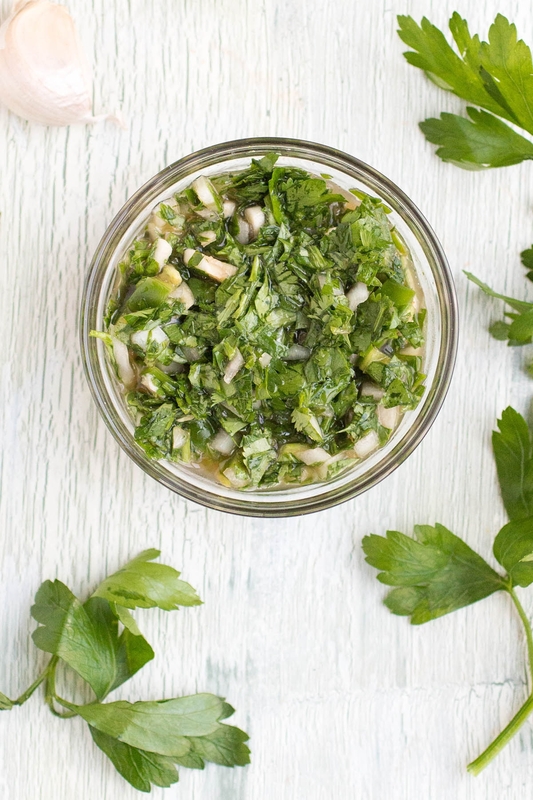 For the chimichurri, add all of those ingredients to a separate bowl and whisk them together. Adjust for salt if you’d like. Serve up the grilled chorizo sausages on toasted buns and top with salsa and chimichurri. Go to town! Start chowing! There’s nothing better than a hot summer day with a cold beer and some sausage sizzling on the grill. 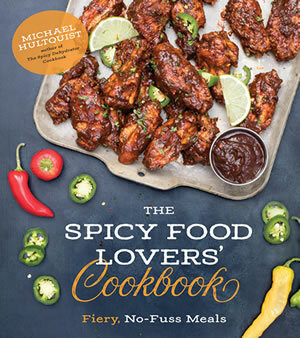 Mike took this dish to an awesome level with amazing chorizo topped with two wonderful sauces. YAY for Summer!! Heat one side of your grill to medium-high heat and the other to low for indirect cooking. Lightly oil the grates. Set the sausages on the cooler side of the grill and let cook about 20 minutes, turning occasionally, until they are mostly cooked through. Set them onto the hot side of the grill and cook them another 4-5 minutes per side, until they are nicely browned. The internal temperature should be 150 degrees F.
While the sausages are cooking, make your salsa by combining all the salsa ingredients in a medium-sized bowl. Toss and set aside. Add the chimichurri ingredients to a separate bowl and whisk together. Adjust for salt if you’d like. 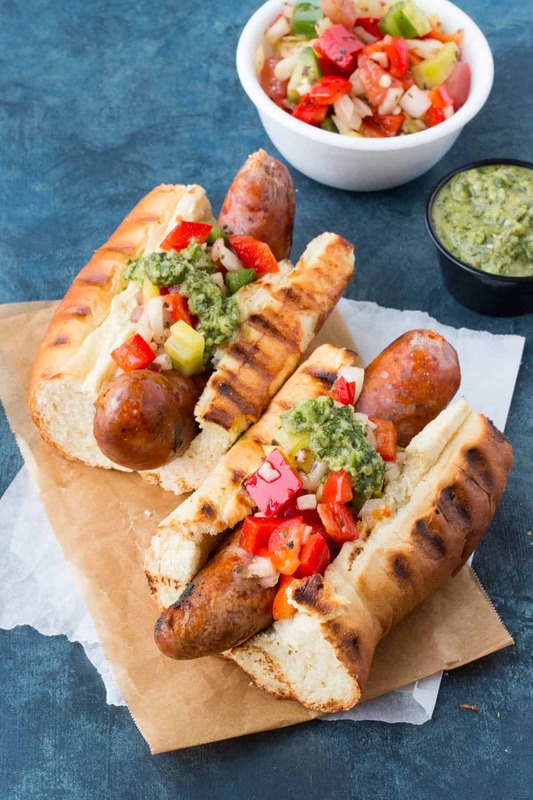 Serve the sausage on toasted buns and top with salsa and chimichurri. Heat Factor: Medium, though your overall heat factor may change based on the brand of chorizo you purchase. The chimichurri and salsa criolla are fairly mild in heat, but have a LOT of flavor.